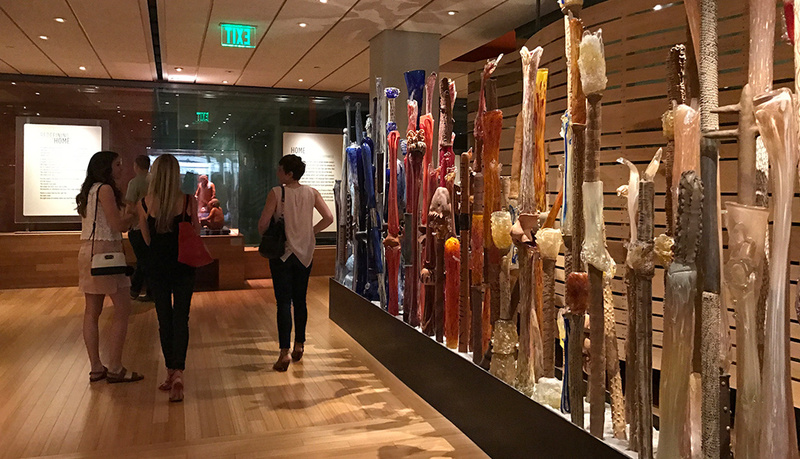 Entering the Heard Museum, you are greeted by the beautiful displays of Native American pottery, basket weavings, and clothing. The journey through history begins. But as you turn the corner, one can only be in awe of the grandeur that leads you to the newly opened Grand Gallery. A vast open space welcomes you with two colossal banners on each side of the soaring wall. 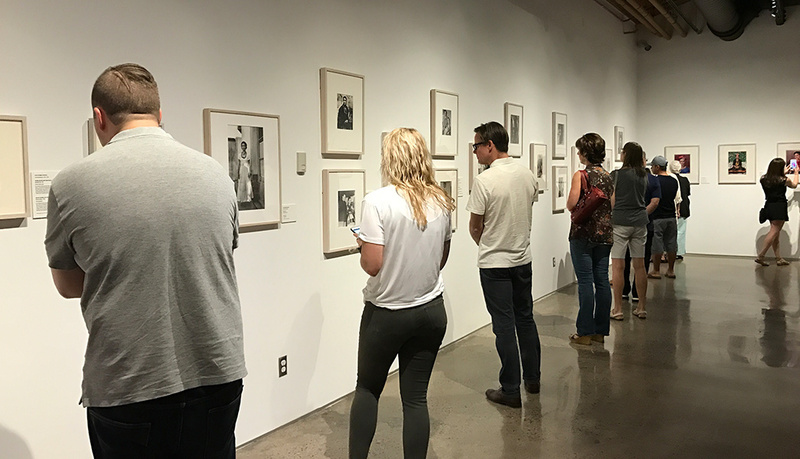 The banners are images of Frida Kahlo & Diego Rivera, cropped in close to their face and eyes hinting at the fact that you are peeking into a rare and intimate snapshot of these two captivating figures. 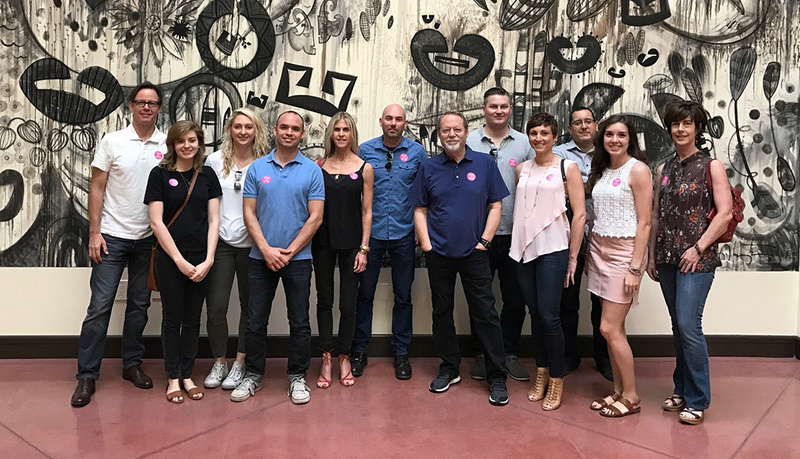 The ps:studios crew had the opportunity to visit the “Frida Kahlo and Diego Rivera” exhibit. The whole team was entranced. 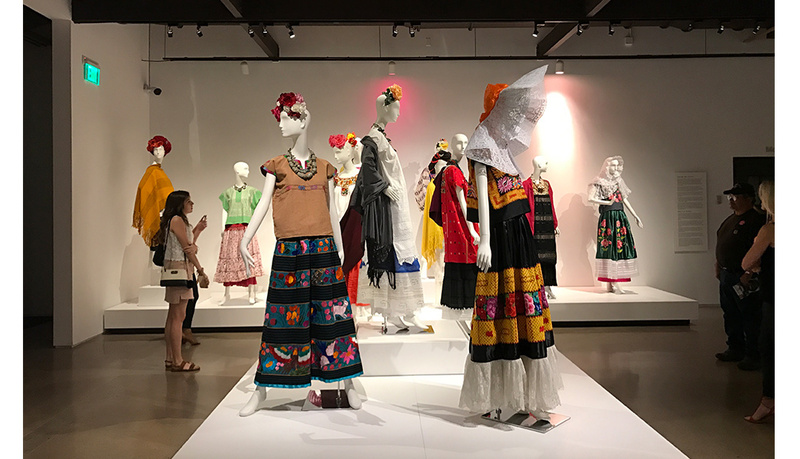 The work of Frida Kahlo and Diego Rivera’s friends and family are intertwined with their own, giving the audience a unique view they had never seen before. 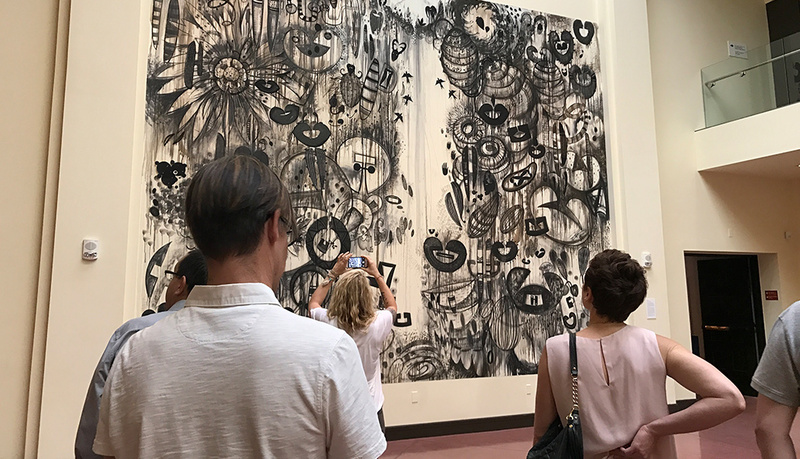 As you float around the gallery space, a timeline of each artist chronicles the milestones, hardships, and topical events that coalesce to make their life stories. Various works of art decorated the gallery – photography, paintings, collages, and even clothes. This exhibit really is a thorough view of art history’s most infamous couple.